"I jumped the queue cos I'm smarter than you..."
Almost 30 years on from their debut album The Divine Comedy remain a truly singular voice in pop songwriting. 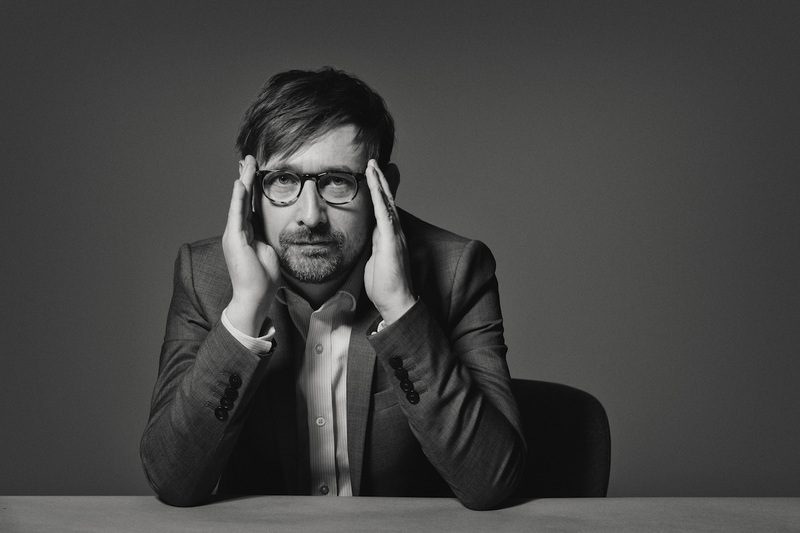 Managing to surpass time and trend, Neil Hannon's merry bunch retain their witty bite while continually assembling new shapes in chamber pop. New album 'Office Politics' lands on June 7th, with the Irish band set to tour across the country in October. The record is led by delightful new xylophone-led pop nugget 'Queuejumper', a delicious, jaunty return that finds Neil Hannon on perfect preening form. Creating a deliciously arroagant character, the lyrics boast of his ability to surge past red lights - it's a coy, mini-epic, with a slight Motown leap in the rhythm. The video was directed by Jack Lightfoot for Blindeye Films, and the team aimed for that raw, home made feel that dominated classic clips from the late 70s and early 80s - the early MTV era, coming out of new wave. Using an original Sony BVP3A Video Camera to give an authentic period look, it perfectly nails Neil Hannon's impish pop imagination.